Join us on the courts at RCC from 6:30-8p. No experience necessary. Both beginning and experienced players welcome. All equipment and FUN provided. 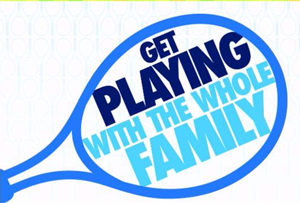 Based on number of families attending, we will use smaller courts and family-friendly red balls for part of each Family Tennis Night.